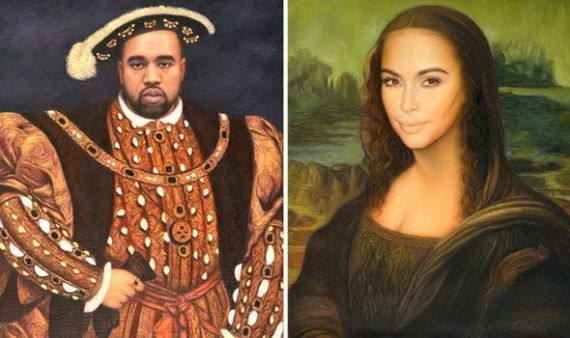 Classically-trained artists have reimagined two of the most famous portraits in the world, Mona Lisa and King Henry VIII as Kanye West and Kim Kardashian. 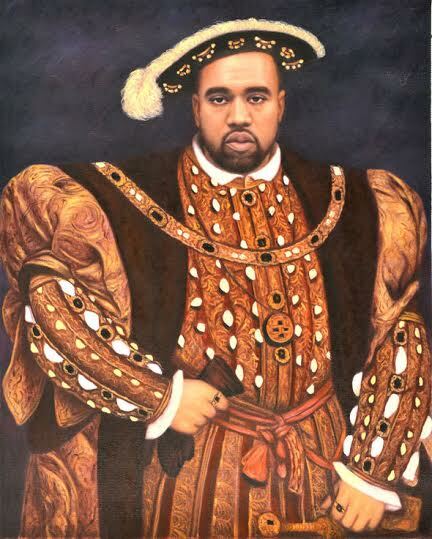 The rapper was transformed into King Henry VIII, known for his short temper and inflated ego – while the reality star is pictured as Da Vinci’s Mona Lisa. The works of art, which took five days to make, were commissioned by online antique specialist http://www.LoveAntiques.com to celebrate its second birthday. 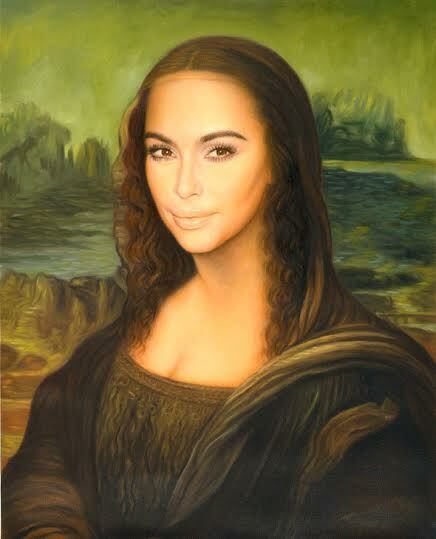 Members of the public interested in owning their own artistic fusion can buy prints in various sizes from just £10, with money going towards Kanye’s arts institution, Donda’s House.